What is a miscarriage and what the symptoms of the miscarriage? 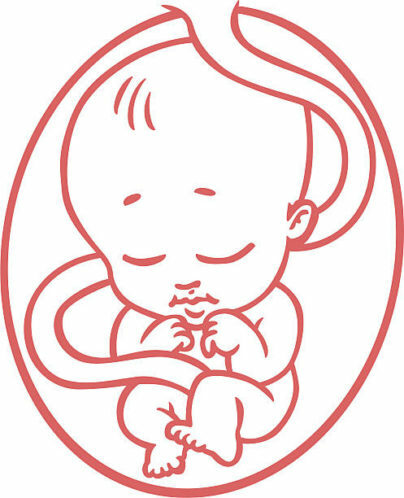 Miscarriage is a condition which happens when an embryo dies before the 20th week of pregnancy; however, it usually happens in the cases of early pregnancies. According to study 8 out of 10 miscarriages happen in the first 3 months of the pregnancy. According to study 50% of all pregnancies end in miscarriage most often before women miss her monthly cycle. But even though miscarriage is common, it can be emotionally difficult. A feeling of loss is normal after losing a pregnancy. The symptoms of the miscarriage are bleeding, cramping and pain. The bleeding could be light or heavy, or it may contain blood clots. It may come and go for a few days. There are chances that the early miscarriages could be discovered during a routine pregnancy scan. This scan will be conducted to reveal an empty pregnancy sac, where the embryo should be. In other terms, we can call it a missed or a silent miscarriage. In such a scenario the couple has had no idea that this has happened and this will come as a terrible shock. The symptoms of late miscarriage is a particularly difficult experience to go through, however, the signs of late miscarriage could be heavy bleeding or waters breaking. This may be accompanied by intense, labor-like pains, for which your physician will give you the pain relief medicines. The reason for pregnancy loss could be a weak cervix. Which Miscarriage Treatment is the better choice for the women? This is a type of miscarriage when the pregnancy tissue begins to pass on its own. With the help of watch-and-wait option, the tissues will pass on its own which could be more than 90% of the time; however, this can take several weeks as well. Using the tool like misoprostol, the tissue passes more than 90% of the time within one week. This is the Miscarriage Treatment which is done when the pregnancy stopped growing before the development of the fetus in women body. With the use of the watch-and-wait option, this type of miscarriage will pass on its own only 60% of the time, and can take many weeks. With the use of misoprostol, the tissue passes about 85% of the time within a week’s time. This is the type of Miscarriage Treatment which is done when the pregnancy has stopped growing but is not passing on its own. With the use of the watch-and-wait option, this kind of miscarriage condition will pass on its own about 70% of the time, but it can take weeks, however, the use of the misoprostol, the tissue passes almost 90% of the time within one week. In most of the cases, it has been found that the women choose to watch and wait as their first option. In case, that option takes too long, then they get back to their doctor to try another option. If medicine doesn't work, for the women she can visit her doctor at any point in time for a suction procedure. A suction procedure works 100% of the time with any type of miscarriage. How much does the Miscarriage Treatment Cost? The Miscarriage Treatment Cost is not only a financial crunch; it is moreover the emotional and stressful stage for the couple which is not easy to bear. Nearly 20% of known pregnancies will end in miscarriage, and the vast majority of those pregnancies will be lost in the first month. In some cases, there are couples who are handling another kind of hurt which is a financial pain, especially for those who are already near the economic brink. According to the study, the women who suffer miscarriages have to pay out of pocket for a procedure called a dilation and curettage (D&C). This is a procedure where the doctor will dilate the women cervix and the tissue from her uterus will be removed by using suction or a sharp object. Some miscarriages are, “completed” without intervention, which means that all tissue leaves the women uterus whereas the other miscarriages are “incomplete,” which means that not all of the tissue is missed, where the embryo in the women uterus stops growing but are not expelled at all. Women who are dealing with incomplete or missed condition of miscarriage usually receive D&Cs in a hospital. In case, the women are uninsured than the D&C will cost her between USD 4500 to USD 8,000 which is very reasonable as compared to the Miscarriage Treatment Cost in other developed countries.